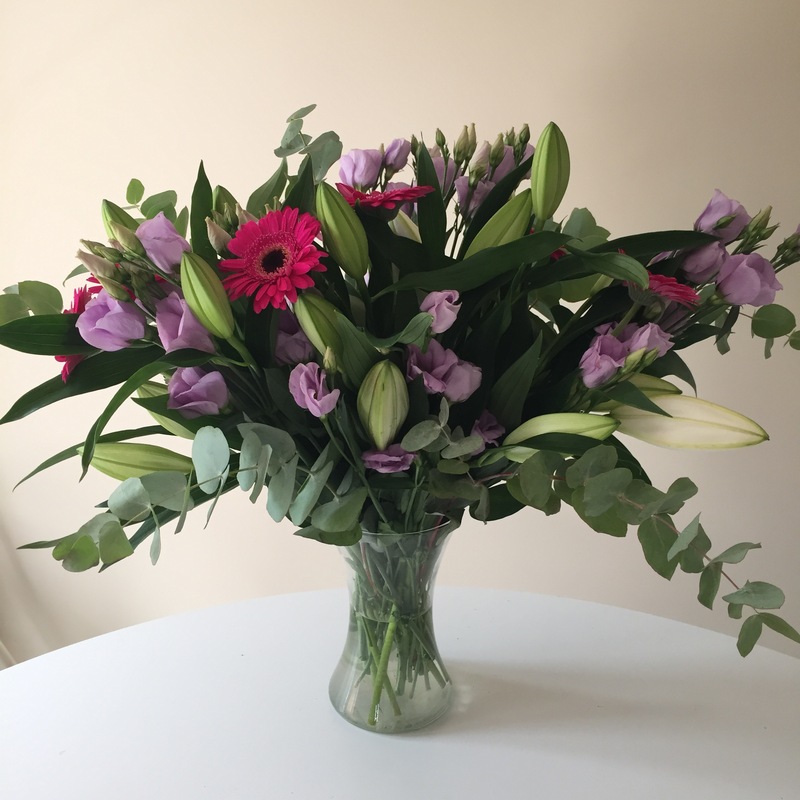 Theres nothing quite like a delivery of fresh flowers to lift your spirits. I’ve got to be honest I’ve not been having the best time recently for a few various annoying reasons and have been feeling a bit down which isnt like me. Things can get on top of you and sometimes you just need a little ‘pick me up’ to remind yourself that life is good. When the doorbell rang and this beautiful luxury bouquet was waiting from Prestige Flowers my heart soared. The gift of flowers is something I love but very rarely receive (probably like a lot of women) and boy, does it fill me with joy! I immediately put mine on display and its look and smell has been making me smile every day since…they are just beautiful. This is the ‘Exquisite’ bouquet that starts at £34.99. If you havent used Prestige Flowers before let me give you a review of their service. Their website is really easy to use and their prices are very competitive. Its hard sometimes to know who to use for flowers as its crowded market but I was very impressed with their service and quality. 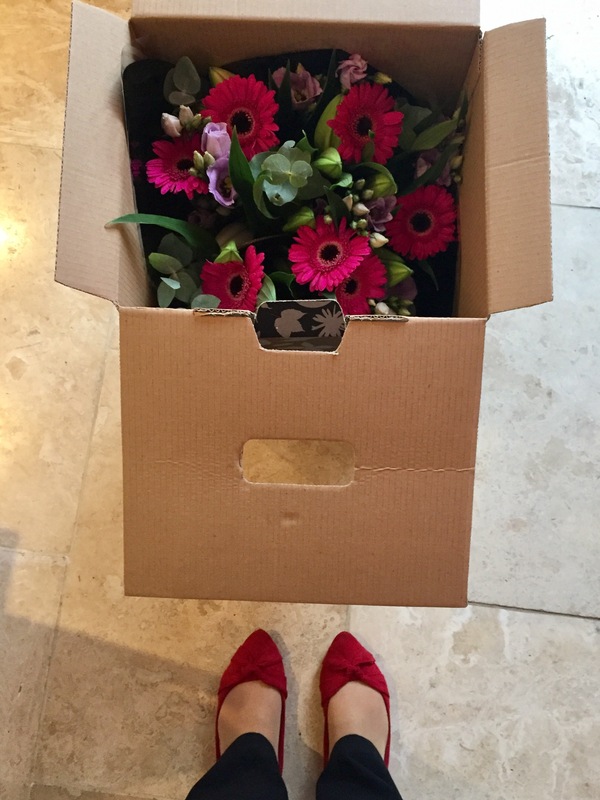 My flowers were delivered in a lovely decorative box which felt really ‘gifty’ and you could smell the freshness of the flowers straight away. On opening, the bouguet was presented tied and wrapped – all you had to do was lift it out of the box. 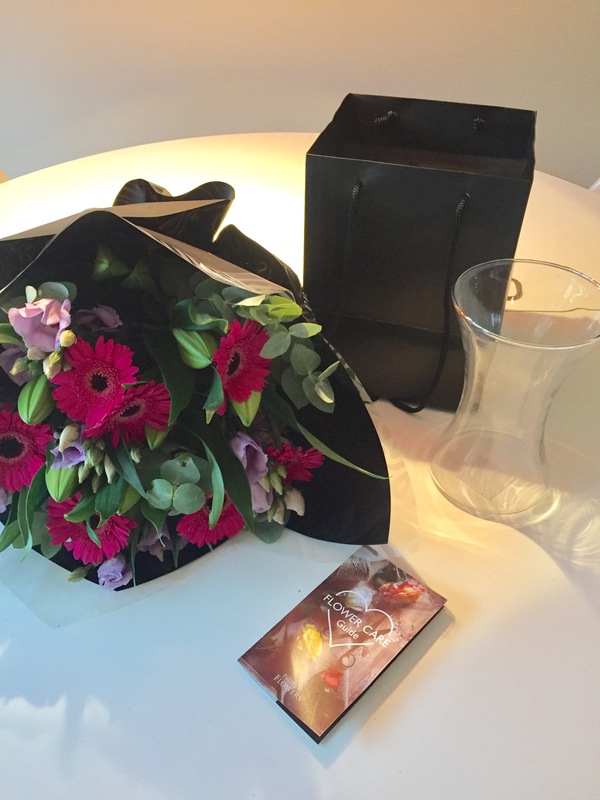 Also included was a glass vase (very carefully wrapped and boxed), care leaflet and a black paper gift bag. Upon unwrapping you could see why the flowers were so fresh. 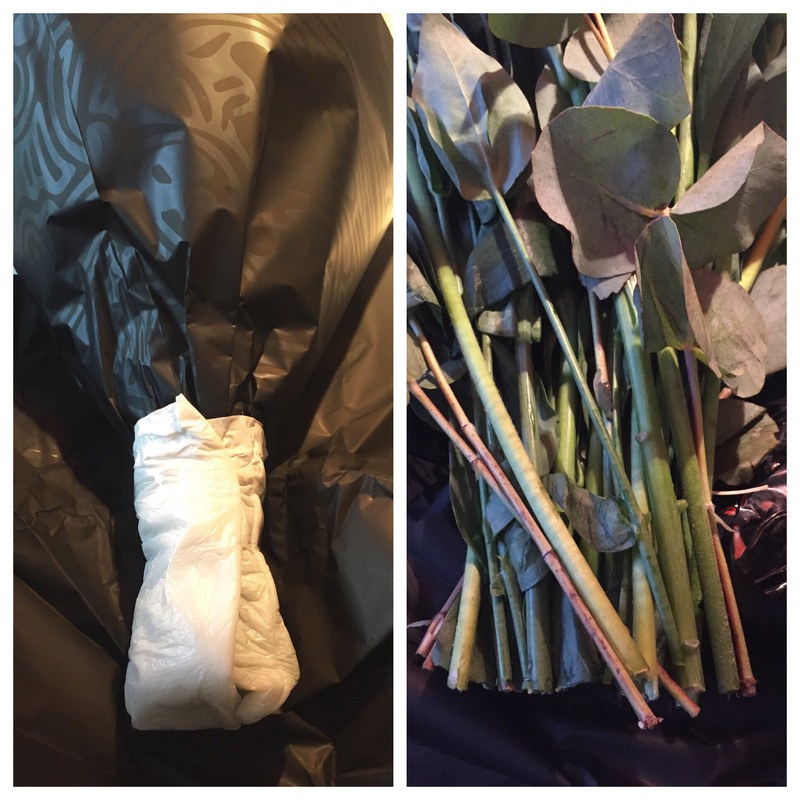 The ends were wrapped together in a clever wrapper which was providing them with water and although sodden with water for the flowers did not leak or spill any water on the outside. 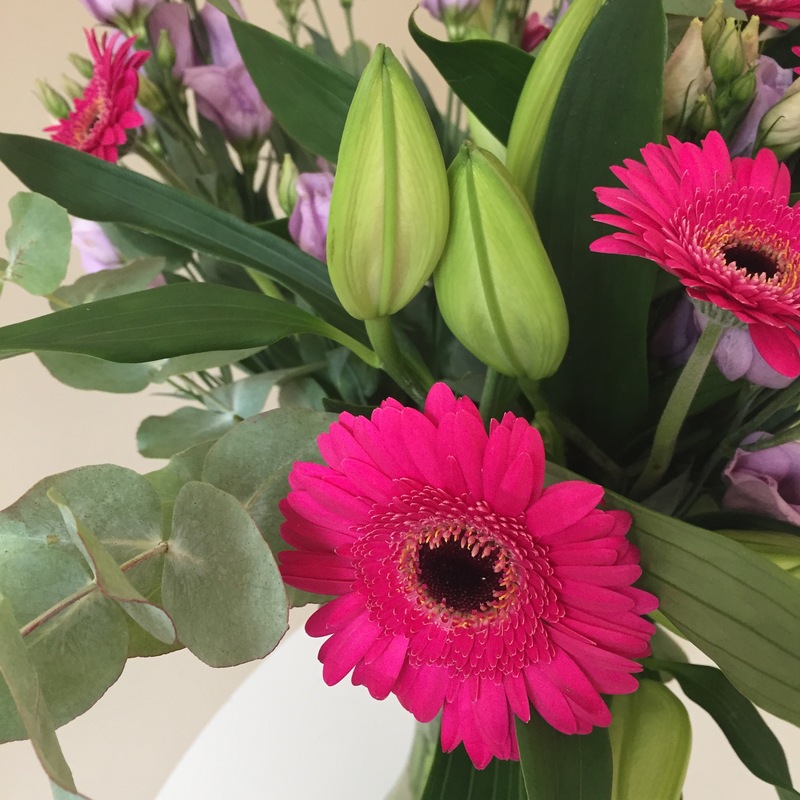 The stems were all cut to length – all you had to do was place it in the vase provided – no arranging required! 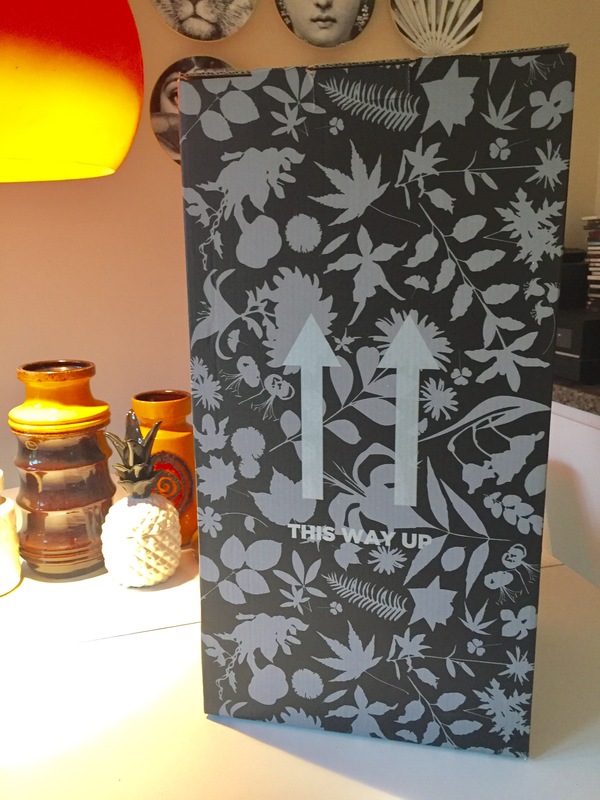 You could then display (or gift it) in its gift bag or just in its vase…the choice was yours. 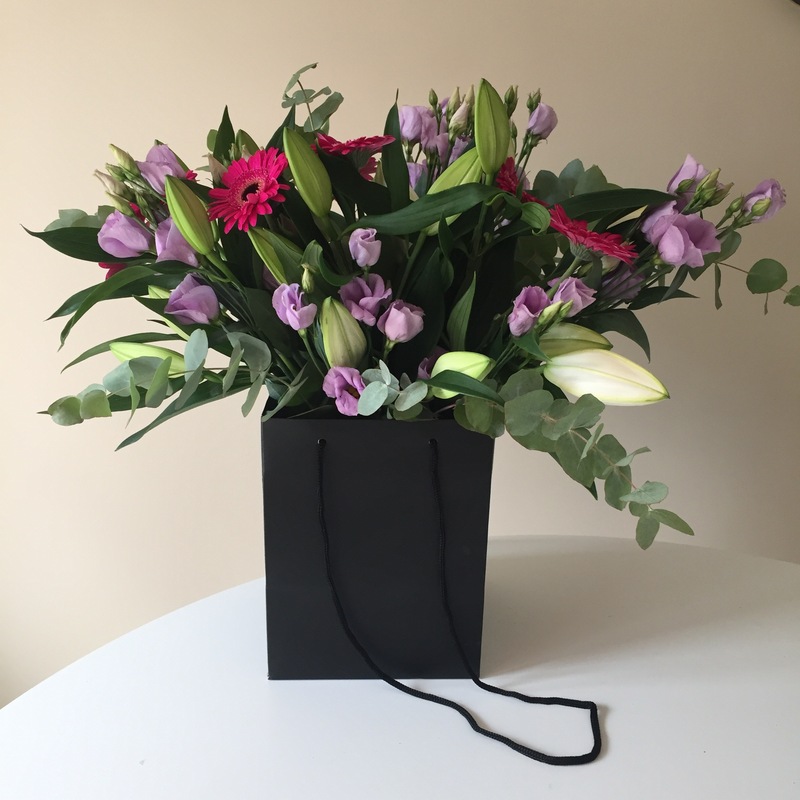 I’d definitely send a bouquet like this for a birthday or other special ocassion, plus Christmas isnt far away and they have some beautiful bouquets specially selected as Christmas gifts – find them here –https://www.prestigeflowers.co.uk/christmas-flowers. I’ve never thought of sending flowers for Christmas but I think that would work well as a really nice present for someone special, but one which I didnt have to shop for. Easy AND thoughtful…works for me! 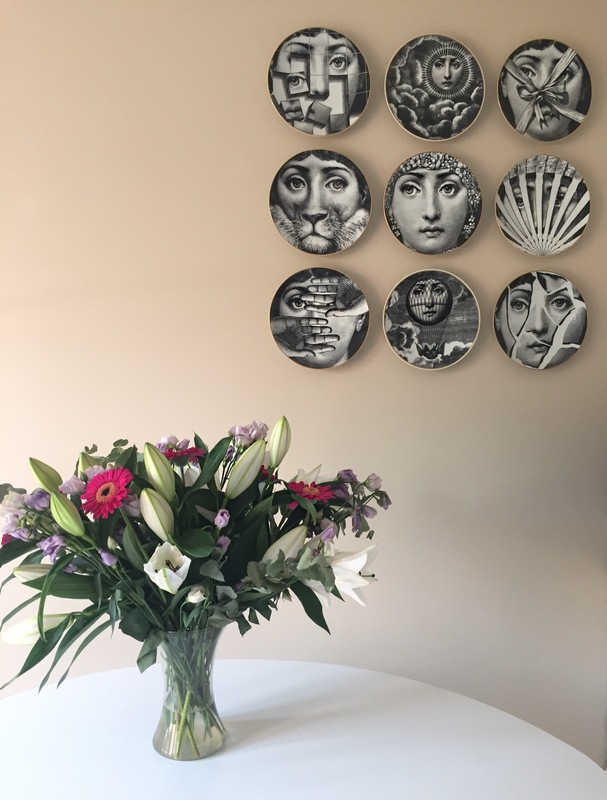 I’d definitely recommend the Prestige Flowers service and a week later my flowers are still looking great – the lillies are opening up and the fragrance has become even stronger. Its amazing how something like receiving flowers can lift your mood so greatly and this beautiful bouquet definitely does that! *I was gifted this product but all views stated are my own. For more information please see my disclaimer section. As you may know by now I do love trying new beauty products. At 44 the battle to stay looking fresh is becoming harder and harder but I’m not going down without a fight! 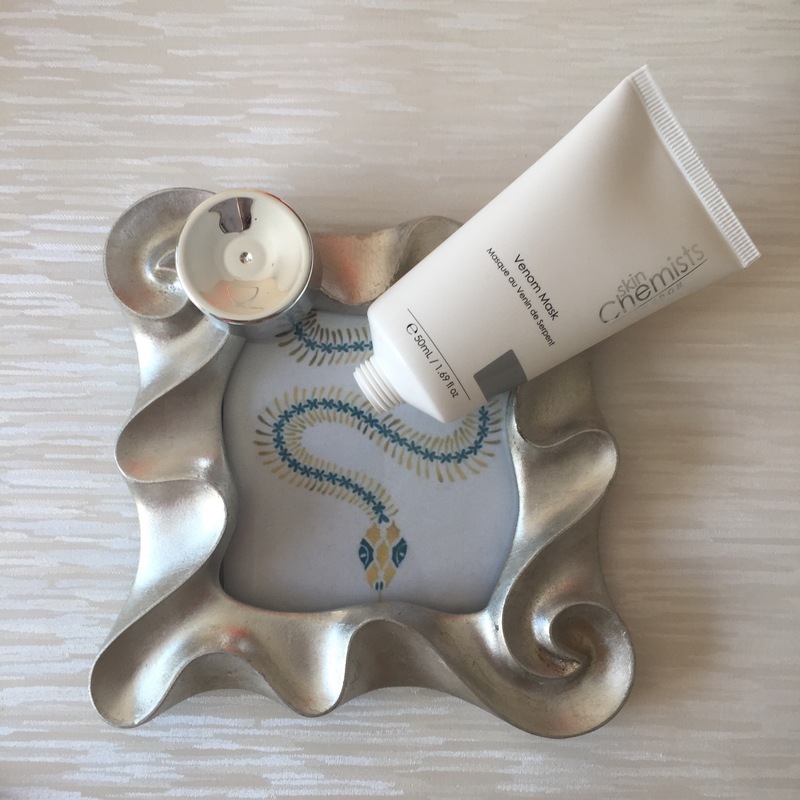 The skinChemists Venom Mask is be a deep moisturising skincare product which contains their hero active ingredient, Syn-Ake. Syn-Ake is a peptide that mimics the activity of venom of the Viper snake…so thankfully no snakes were milked to create this product! This ingredient is supposed to be capable of reducing wrinkles by inhibiting muscle contractions and has received a lot of good press. 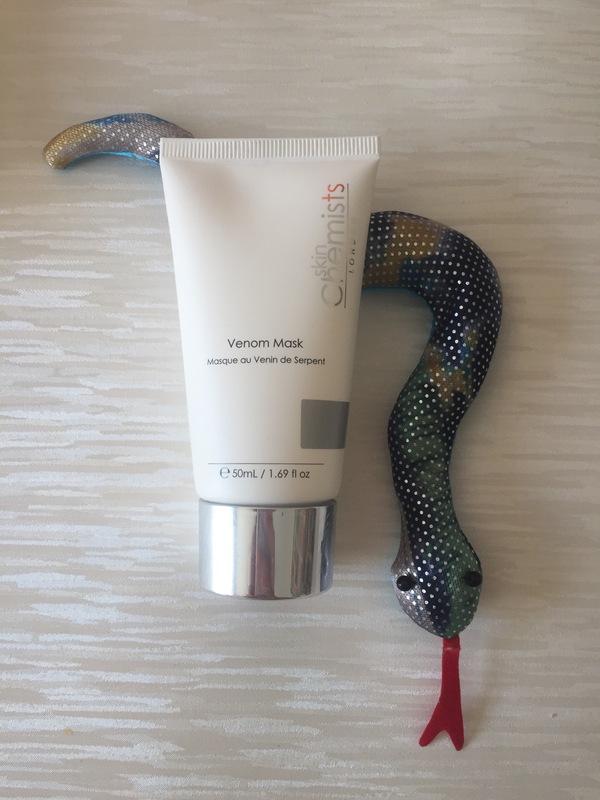 SkinChemists’ Venom Mask is specifically designed as a leave-on, overnight treatment to work on the skin whilst it is most receptive to repair and regeneration. The anti-ageing skin treatment works to firm and plump the skin, whilst deeply hydrating and rejuvenating the skin to leave it fresher, brighter and protected by morning. Theres no debate, this is a high end, investment purchase with the product selling on the skinChemists website for £94.90. So the big question…is it worth it? 1) Syn-Ake – imitating the effects of the venom of a Temple Viper Snake, works to reduce mimic wrinkles by inhibiting muscle contractions to reduce the visibility of signs of skin ageing. 3) Glycofilm – which works to protect the skin against environmental pollution and aggressors, which helps to reduce skin damage and premature ageing. These are all premium products which do very specialised things, plus they are all at a high concentration so thats brilliant. Its always worth comparing the concentrations when looking at products as that, ultimately, is what you are paying for. SkinChemists products are always pure quality and I am consistently impressed with their innovation and quality. What I was a little disappointed by was the packaging. This is suprising as I usually really like skinChemists packaging – the mask comes in a plastic tube which is more than fit for purpose but it doesn’t feel luxurious in the slightest and it certainly does not feel correct for a product retailing at almost £100. I understand that the ingredients used in the product are top quality and are probably the reason why it has a high price tag but I really think the packaging could have been so much better to fit in with the quality of this product. That aside, I did really like this mask and its effects but for me it didn’t reach the heights of other skinChemists products I have tried. If used at night, it does leave your skin looking brighter and with less visible lines in the morning when you wash it off. It also doesnt tighten the skin in that uncomfortable way like some masks do. I would say if you can find it at a better price (Look Fantastic for example is selling it for £44.00 and Amazon for £49.00) then its maybe worth investing if you are looking for a long term treatment for aging because this is definitely a great product. Buy skinChemists Venom Mask here. For me a summer holiday is an excuse to dress up. As a working mum I dont get a lot of nights out and my summer holiday gives me 10 in a row! Fashion is ‘my thing’ so a trip away is perfect to have some fun, style wise. I thought I’d round up some of the looks I wore with some details of where the items came from. Want to take a look…? 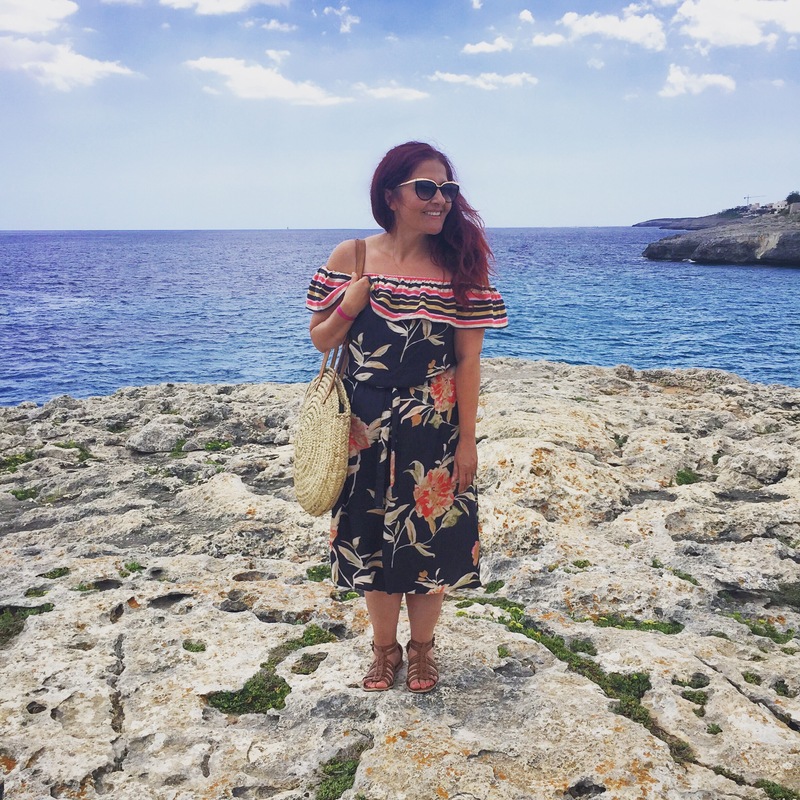 Look 1: Baby steps with swimwear – I wasnt hugely body confident on this trip. I’m a bit heavier than I was last year and was a little self conscious of my figure. 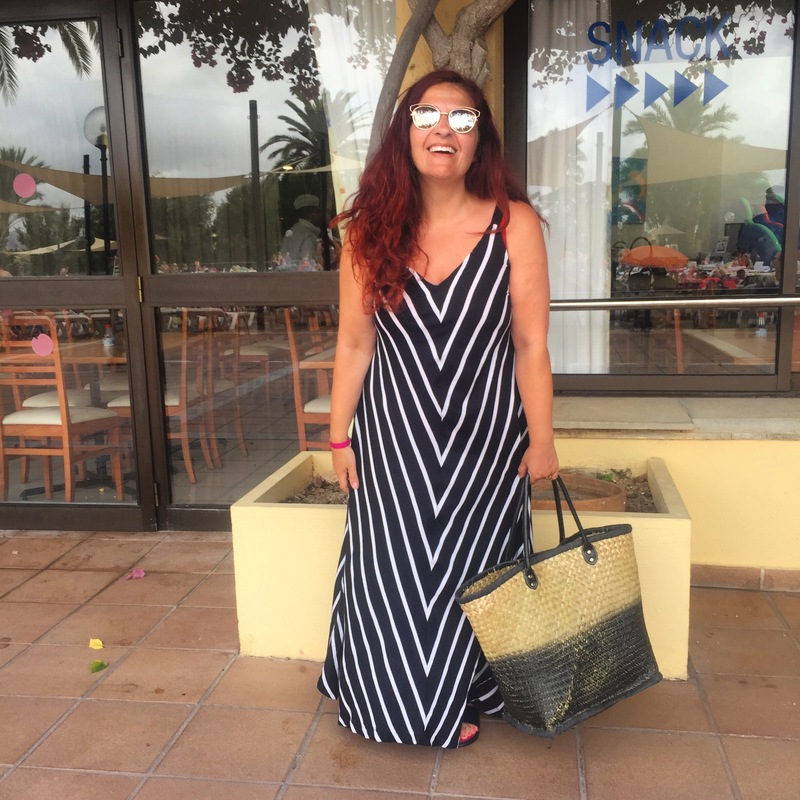 I took lots of cover-ups and soon all that fear slipped away….I found George at Asda great for swimwear with secret support and stuck mainly to one pieces apart from a few days where I braved wearing a bikini! 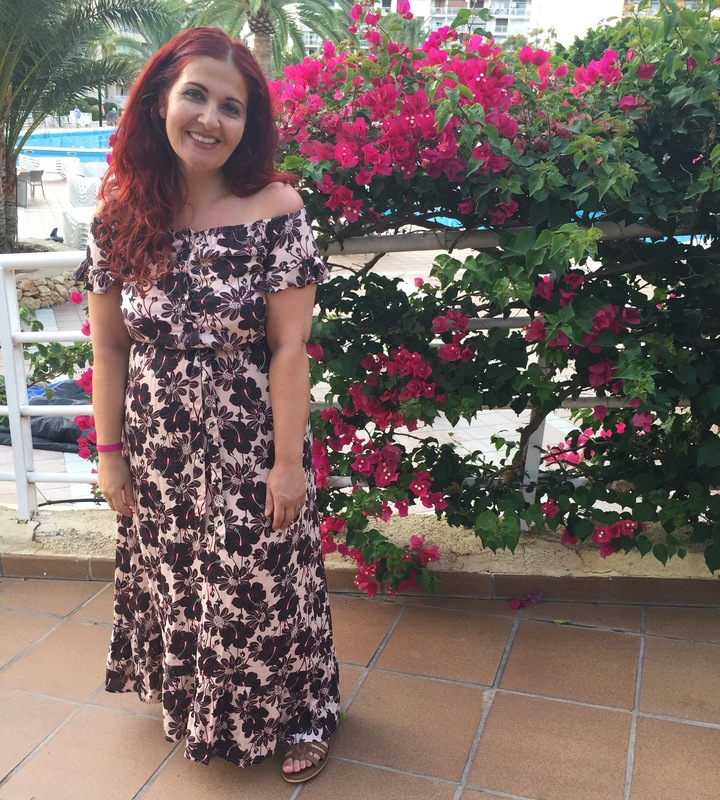 Look 2: the off the shoulder maxi dress – I found this dress in Primark for £5 in the sale and then paid to have it altered. Getting a dress that fits you perfectly is worth every penny and I found this was an easy dress to wear both daytime & evening. 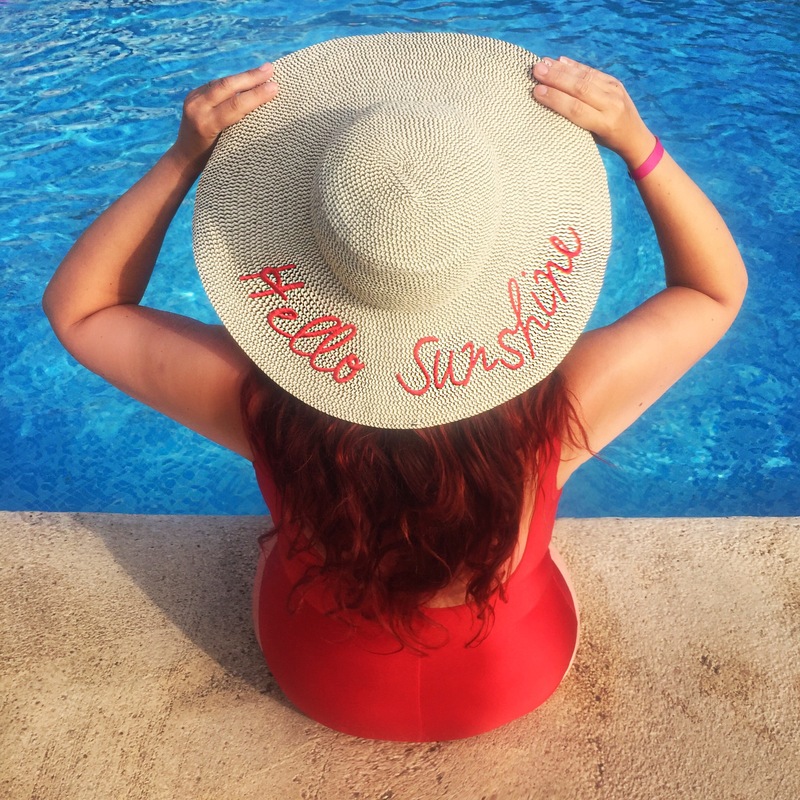 Look 3: a slogan sun hat – if you didnt do a photo like this only holiday can you even call yourself a fashion blogger?!? Joking aside, hats saved my life on holiday and this £8 TU one actually fits my enormous head/thick hair! Look 5: Saturday Night – I didnt bring a lot of really dressy clothes and I’m glad as it was far too hot to get really dressed up, but this embroidered dress is one of my favourites and worn over a slip was perfect for a night when I wanted a bit of extra glamour. 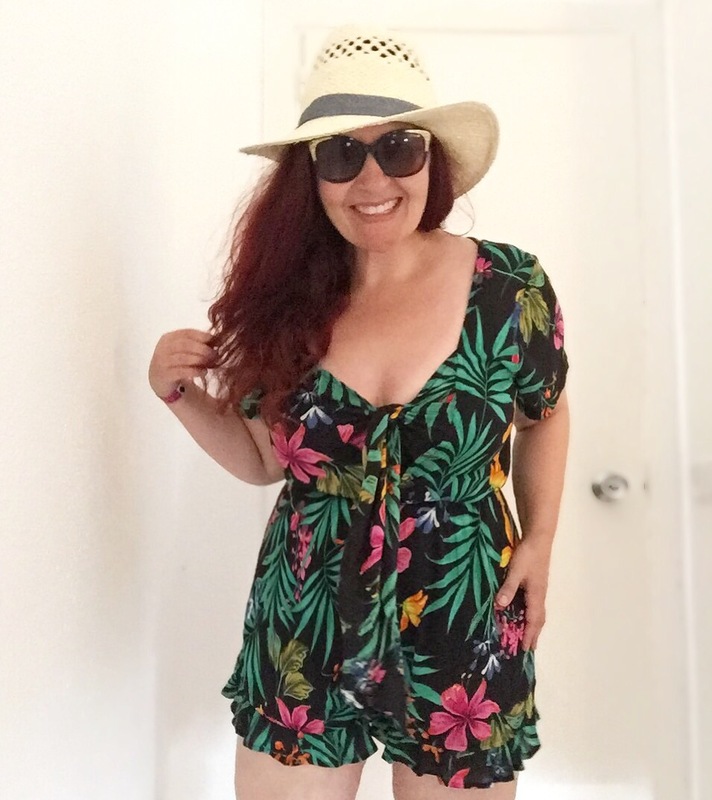 Look 6: covering up – as I mentioned before, in the day I wanted a stay a bit covered up when moving around and I found a playsuit was perfect for that. This £7 Primark bargain had the cutest tie front and frilled shorts and made me feel very feminine. 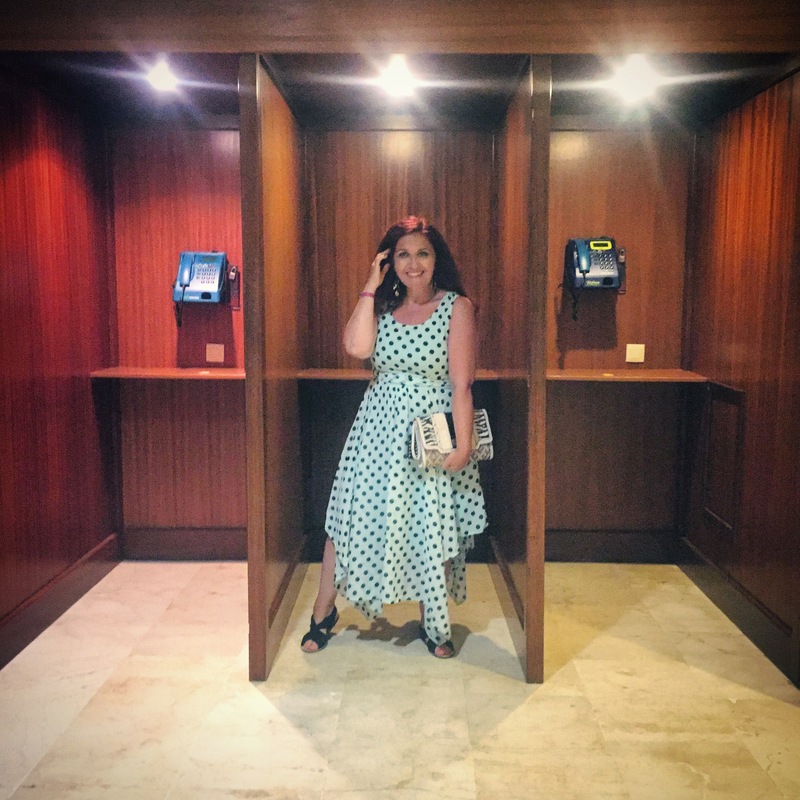 Look 7: Retro vibes – when I saw these retro telephone booths in our hotel I knew I had to pose in them wearing this dress! Its not my normal style but holidays give you the chance to be someone else for a while and I decided to channel my inner Mad Men character. This dress was a ‘new to me’ charity shop buy so a real bargain too. 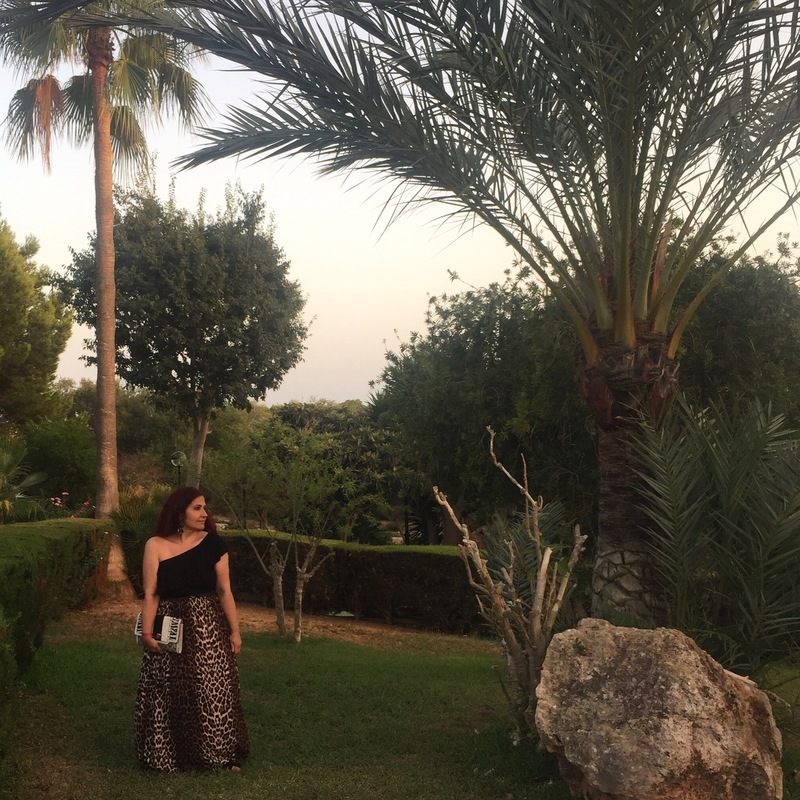 Look 8: Palm print lover – I wore this culotte jumpsuit ALOT while away as it was so comfortable and light. Apart from one night when someone else was wearing the exact same thing (the horror!) 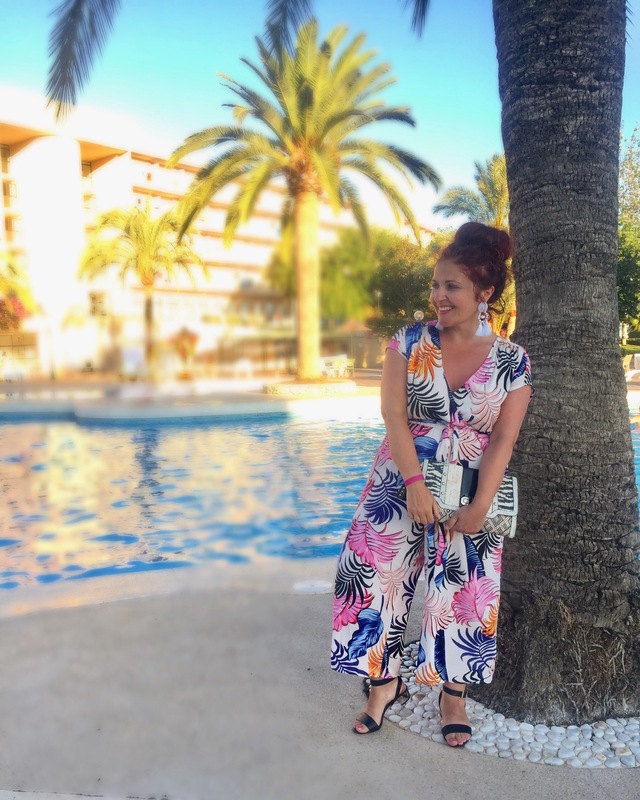 it was the perfect evening holiday piece…and I picked it up in the sale! 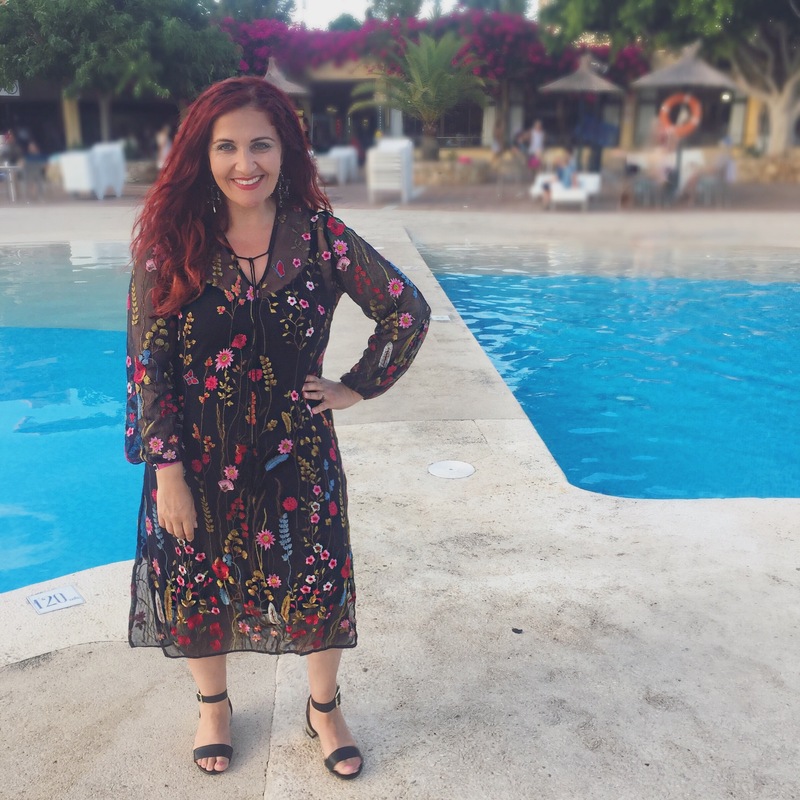 Look 9: boat trip chic – I bought quite a few pieces from Primark for this trip and this dress was one of them. I had been a bit afraid to wearing off the shoulder items as I do like to keep my ample bosum tightly contained (!) but a strapless bodysuit worked really well…I just couldnt do any trampolining!!! Look 10: Feeling tropical – I do love wearing print and leopard print seemed apt in the hot weather. All over print is too much for curvy, petite me, so a cute black one shouldered top from New Look toned it down. So what do you think? If you like my style make sure you follow my Instagram here for daily inspiration.